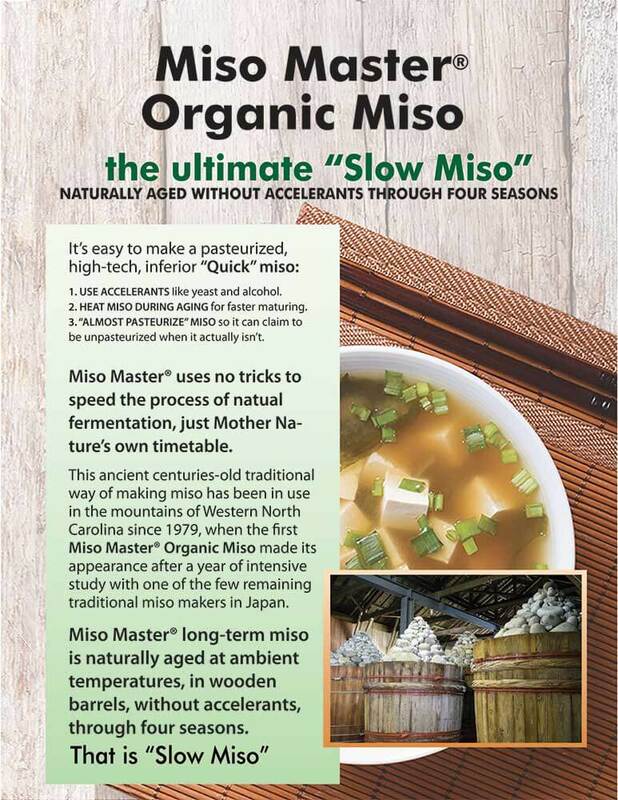 Miso Master Organic Long-Term miso is naturally aged at ambient temperatures, in wooden barrels, without accelerants, through 4 seasons. Miso Master uses no tricks to speed the process of natural fermentation, but instead uses Mother Nature’s own timetable. That is why it is called Slow Miso.